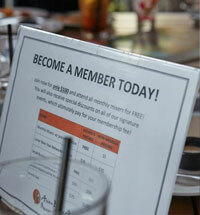 See all the benefits your business will receive through being a member of the ABAOC. Download the Full 2019 Events Calendar Now! 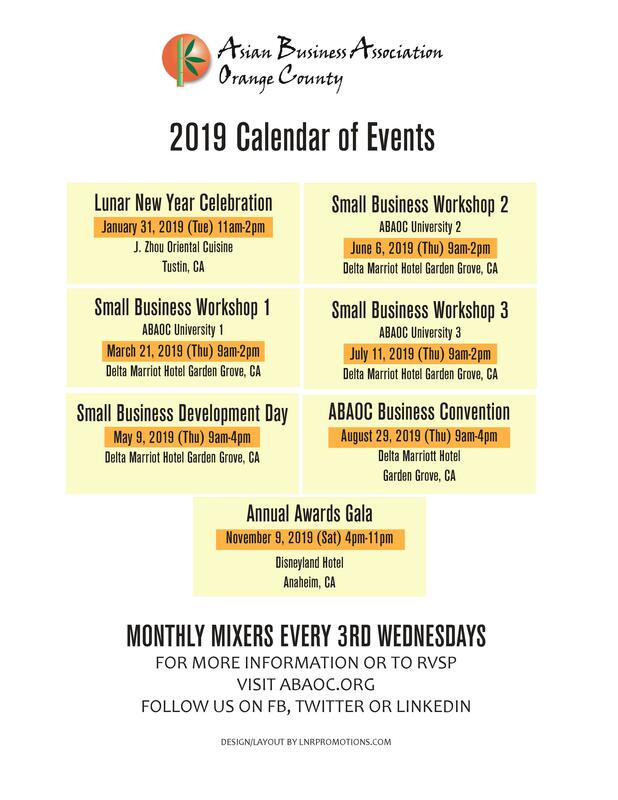 Click the image to view our full event calendar or click the "Download Calendar PDF" button below to keep a copy with you. You can visit the online event list to register for any event online to avoid delays at the check-in table of the event. We hope to see you there! We are so glad to announce that this year ABAOC (Asian Business Association of Orange County) is partnering with Second Harvest Food Bank of Orange County! Second Harvest Food Bank provides wholesome food and fresh produce to more than 250,000 hungry children, seniors and families in Orange County every month. Please join ABAOC Board of Directors and members to volunteer at Second Harvest's Food Distribution Center. Generally, volunteers help to sort and package fresh produce, non-perishable food, or food drive items. These projects are moderately physical. As the ABAOC business community grows, the needs for business opportunities, education, training and advocacy will also increase. We provide economic impact by addressing and meeting these needs. The ABAOC programs provide access to business development, matchmaking workings, procurement, unique marketing programs, and more; driven to help you succeed. ABAOC strives to provide opportunities to advance in business and in the community. 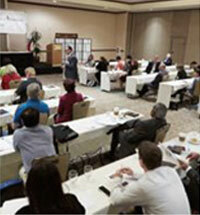 ABAOC leaders work diligently to bring value to its members, corporate partners and sponsors with events and programs.